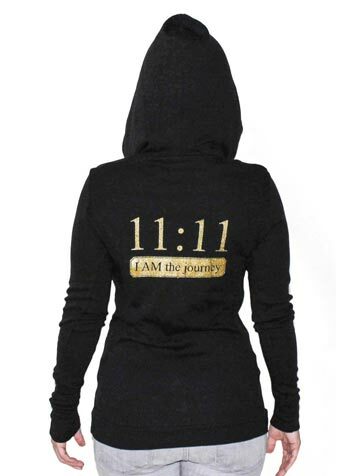 Simran’s Quote, “I am not on a Journey; I AM the Journey” adorns this 100% organic cotton thermal hoodie. 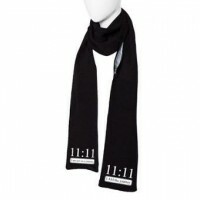 “11:11 I am not on the Journey” is printed on the front while “11:11 I AM the Journey” is printed on back in Black with Burnished Gold. 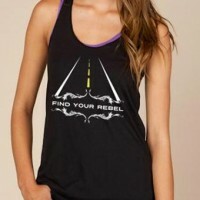 S, M, L, XL ( *Sizing is fitted ) – Black/Burnished Gold Metallic. ‘I Am not on a Journey; I Am the Journey’ signature quote from SIMRAN’s ‘Conversations With the Universe’ book.